Running for fitness, what a great reason to run and what a great way to get and stay fit! Many runners including myself started out running as a way to get fit and ended up falling in love with the sport. So whether your running for fitness, fun, sanity, a moment for yourself, to save the world, or whatever reason, here are some running tips to help you get the most out of your workout. In addition, if you're serious about running for fitness, you're going to want to incorporate some other techniques into your workout besides running. This will enhance your running and your overall fitness. Pilates is a really good workout for runners because it improves posture, gives you a good stretche and increases core fitness. To find out more about how pilates can enhance your running, overall fitness and quality of life, check out this website. It gives a great explanation of pilates and I especially like the style of this site because it is in keeping with our most important theme: HAVING FUN! Here are some other ways to strengthen your core and improve your overall fitness. Speaking of abs and running for fitness, if you hold your stomach in while you run, this also helps increase core fitness and makes those abdominal muscles start to shape up nicely! As a mom of a really fiesty toddler, I'm a big fan of multi-tasking and making everything count. I even count housework as a cross training workout. And with him jumping on my back all the time, I think that counts for extra cross-training points. Here are some more great at home workouts. For a cross training workout, you want to choose something that gives your joints and feet a break from the pounding they get running. Some good options are elliptical, swimming and rebounding. Wondering what is cross training and why it is important? You can find out more about cross training here. Weight training is very important for runners because it helps strengthen your body, improve your fitness and therefore improve your runs but it goes beyond that. Ever heard that saying, "We are only as strong as our weakest link?" For example, if your legs are weak, your run puts more strain on your knees, calves, shins and ankles. However if your upper legs are strong, they will carry their own weight and not put so much weight on the rest of your body. Another reason for weight training or strength training is it can help prevent osteoporosis later on in life. Weight training sound a little overwhelming? Here is a really helpful article from another running mom to walk you step by step through the process. Stretching might not be your favorite part of running, but it's very important in preventing running injuries. Here are some tips on how to get in a good stretch. Here we will look at achieving total fitness, not just health fitness, but also taking care of mommy in other ways. My goal is to be a great mom but without loosing myself. The more in touch I am with myself, the more I will be able to enhance the lives of those around me, and the better a mother I will be. That is why I am running for fitness and happiness for myself and all moms everywhere. If you have been to other pages on my site, you know this site is not for elite runners, people planning on trying out for the Olympics or other professional runners. Sorry, but if that is you, I can't help you, you will need more advanced training. 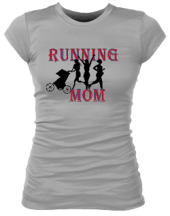 This site is for mamas, beginners and intermediates running for fitness, health, happiness, a great cause, a great time, sanity or whatever other reason. So if you are looking for professional training in order to win an Olympic gold metal next year, I'm sorry I can't be of more help. 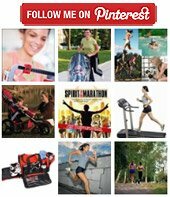 But if you are running for fitness, fun, family or any other reason besides to be a professional runner, this is the site for you, and this information will help you improve your running for fitness, inspire you and make sure you have a great time while you're at it. But that doesn't mean we can't be competitive or that we don't have big dreams and goals for our running. My personal goal is to qualify for and run the Boston marathon before I turn 34. So regardless of whether you have great aspirations or are just running for fitness, fun and a good excuse to eat a slice of pizza, this site will give you valuable information for how to be a better runner. So all you mommies, beginner and intermediate runners, marathon runners, 5k race runners, slow runners, fast runners, even joggers and walkers, ladies running for fitness and sanity, men by the way are welcome too ;-) you have come to the right place! 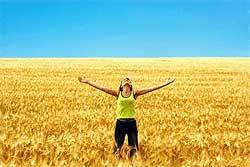 Enjoy a happy, healthy, fit life and may you be prosperous in all that you do!